← Happy Birthday, H.P. Lovecraft! My first novel, the namesake of this blog, and the book (I hope) you’ve been waiting for, PANDORA, is going to be released in 10 days! So Pandora’s Pen is going to do a countdown to PANDORA, giving you a post each day that provides sneak peeks, excerpts, and other exclusive content in preparation for release day. If you like what you see, be sure to check out the Damnation Books website on September 1st, and stay tuned here to see how you can get a free or extremely reduced-price copy of PANDORA on release day. Though opening Pandora’s Box has come to be synonymous with the evil delivered upon the world by the first woman, the name Pandora actually means “gifted” or “all-giving.” This positive connotation contradicts the ominous association we have with the idea of Pandora’s Box. 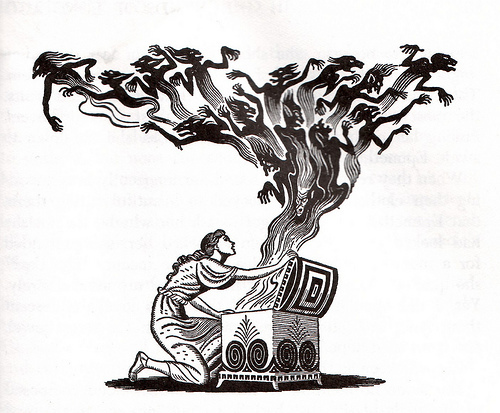 According to myth, Zeus placed the plagues of mankind inside the box and then gave it to Pandora, with the intention of her opening it as punishment for Prometheus’ theft of fire from the gods. That’s the mythology, but that’s not necessarily how things go down in PANDORA. I took some liberties with the origin of the box, using other aspects of Greek mythology to cement its ancient and bloodstained history. I also took liberties with a misconception about the mythology. The original word was jumbled in translation; it was actually a jar that Pandora opened, not a box. In PANDORA, the vessel I envisioned was a box. 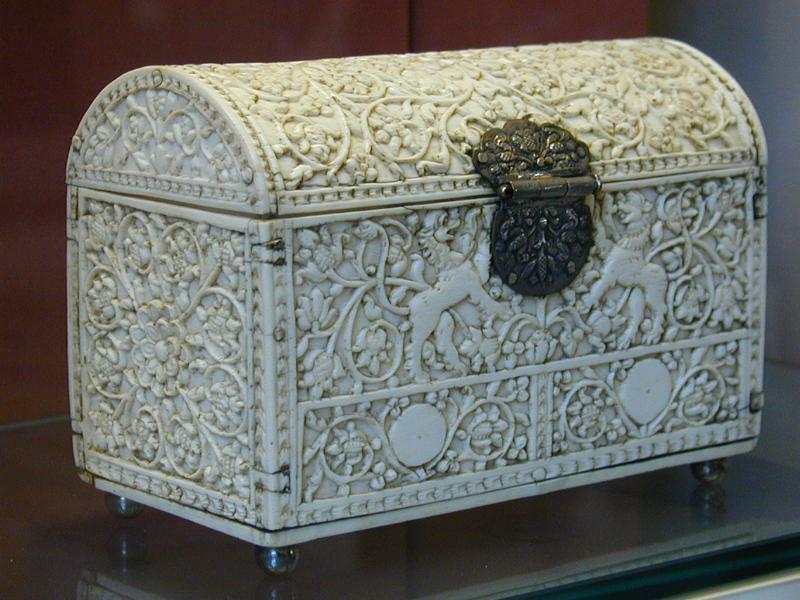 My box is a faded ivory chest with a series of elaborately carved designs and inscriptions, almost like the top of a Corinthian column. Though it’s too old and worn for any of the characters to make out all the designs, there are a few reliefs carved into the sides depicting people in the throes of torment, agonized screaming faces, and creatures with fangs. The important part, however, is the words inscribed on the surface. Those words will help you solve the mystery of the box if by chance you happen to open it. Love the drawing at the end of the post :). Looking forward to getting my copy of Pandora!